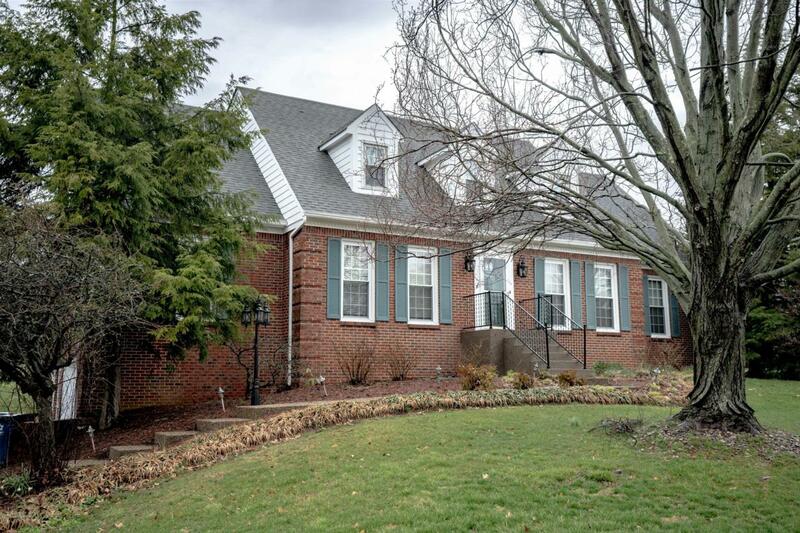 Impressive 2 story home in Brentwood Subdivision that backs up to the golf course of Shelbyville Country Club. 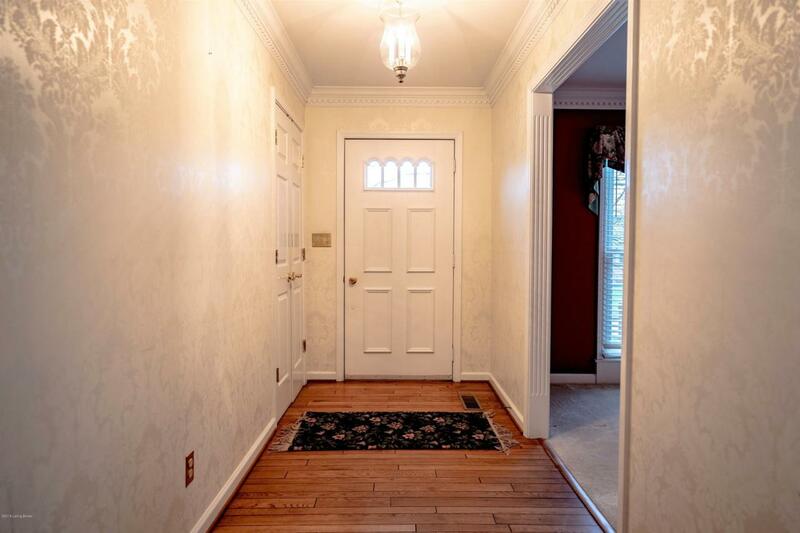 Enter the gracious Foyer and to the left is the Formal Living Rm that blends into the Formal Dining Room both have crown molding. 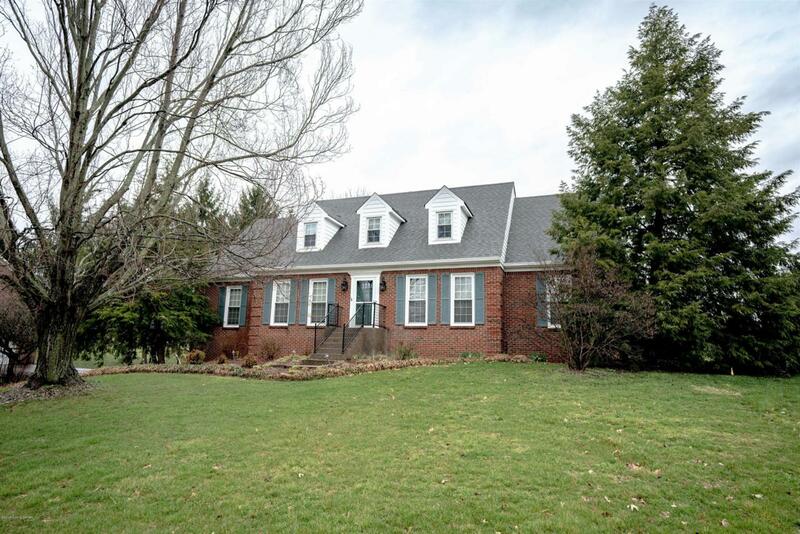 Large Family Rm with masonry fireplace and white ceiling beams and white built-in bookshelves. The Family Rm has a door that leads to a massive covered deck with built-in benches that overlooks the golf course. The Kitchen has hardwood floors, quality cabinets, center island and bay window dining area. The roomy Master Suite on the main level has a large sitting area and big walk-in closet. The Master Bath is extra large with step up whirlpool tub. The upstairs has 4 large bedrooms and full bath. 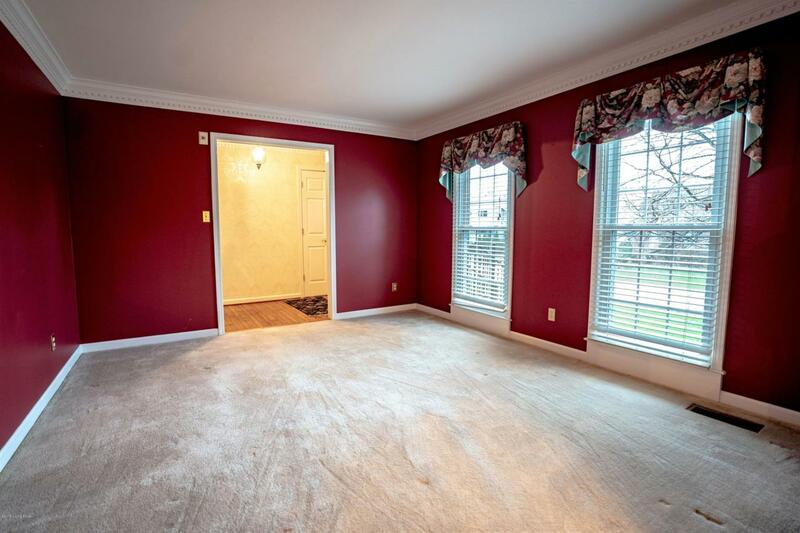 The basement level has a large 2nd Family Roomwith built-in bookshelves, cabinets and seating. There is a very nice bar area with wet bar sink. Plus a corner mirrored exercise area with exercise bar and full bath. The 3 car garage is extra large providing storage opportunity. Convenient area. This home is a must see!